Welcome to the largest collection of on-line videos relative to outdoor cooking. Please note that we did not make these videos and, as such, the techniques and tips offered in each of these videos belongs to the maker of the video. Please also note that within our site, we offer the finest of tips, techniques and recipes for making even better meals. So, with this having been said and you have been directed to scour our pages for the finest in outdoor cooking, we present these Barbecue'n Videos. We hope you enjoy and learn something today! 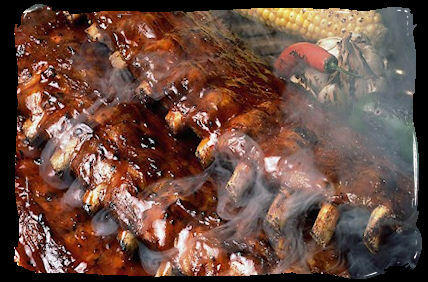 Easy to do barbecue Spare Ribs, marinated in apple juice, covered with pit boys rub and mopped with some home-made barbecue sauce and then served with a side of sugar water Sweet Corn.